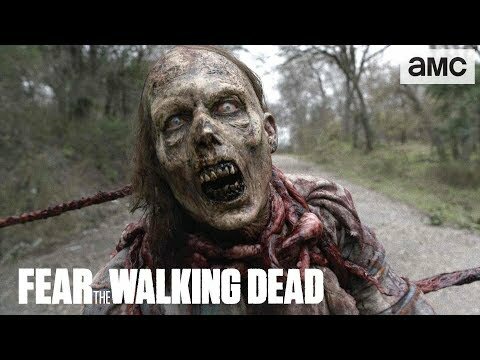 What did the world look like as it was transforming into the horrifying apocalypse depicted in The Walking Dead? 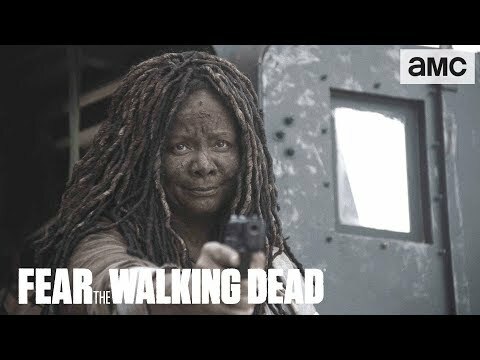 This summer, AMC will answer that question with Fear The Walking Dead, an all-new original series set in Los Angeles, following new characters as they face the beginning of the end of the world. Starring Kim Dickens (Gone Girl, Sons of Anarchy), Cliff Curtis (Missing, Gang Related), Frank Dillane (Harry Potter and the Half-Blood Prince) and Alycia Debnam Carey (Into the Storm) and Executive Produced by Dave Erickson (Marco Polo, Sons of Anarchy), Robert Kirkman, Gale Anne Hurd, Greg Nicotero and David Alpert, Fear The Walking Dead premieres this summer, with a second season airing in 2016. 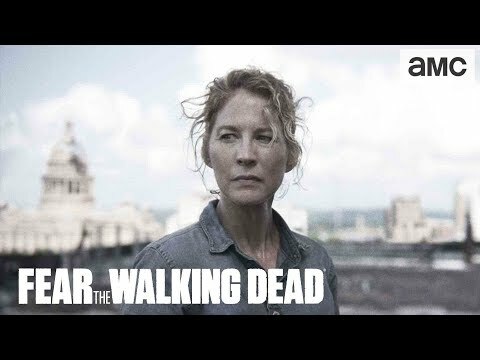 As "Fear the Walking Dead" returns for season three, our families will be brought together in the vibrant and violent ecotone of the U.S.-Mexico border. International lines done away with following the world's end, our characters must attempt to rebuild not only society, but family as well. 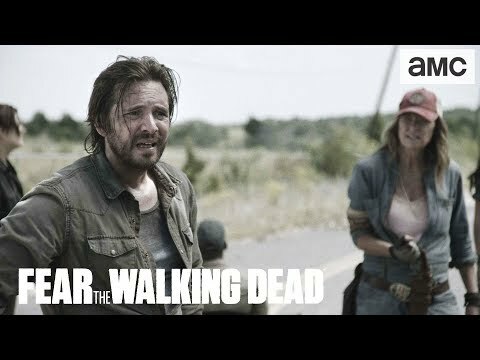 Madison (Kim Dickens) has reconnected with Travis (Cliff Curtis), her apocalyptic partner, but Alicia (Alycia Debnam-Carey) has been fractured by her murder of Andres. Madison's son mere miles from his mother, Nick's (Frank Dillane) first action as a leader saw Luciana (Danay Garcia) ambushed by an American militia group - the couple escaped death, but Nick no longer feels immortal. Recovering both emotionally and physically, Strand (Colman Domingo) has his sights set on harnessing the new world's currency, and Ofelia's (Mercedes Mason) captivity will test her ability to survive and see if she can muster the savagery of her father. 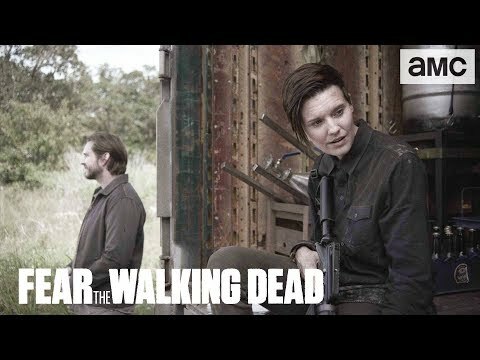 In the second half of "Fear the Walking Dead" season three, the Clarks and Ottos have secured an uneasy truce with the Nation. Former enemies must find a way to survive together. Tension mounts at Broke Jaw Ranch as their militia is decimated, resources are scarce and the Dead are encroaching. The Gonzalez Dam, a source of life, is a larger prize to the south. Strand has hit rock bottom and needs a partner to harness the world's only currency if he is going to be resurrected. Meanwhile, Daniel has become el soldado again and bides his time in service to Lola and the dam, but hasn't given up the ghost of Ofelia. 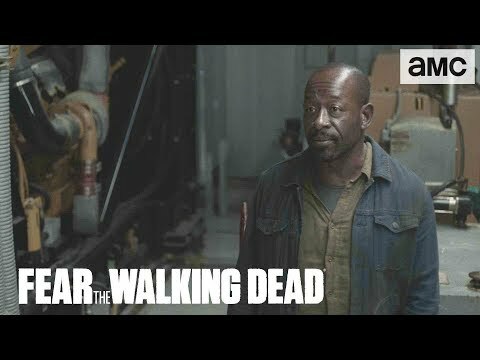 Is Lennie James Hinting at Morgan's Death in 'Fear the Walking Dead' Season 4?